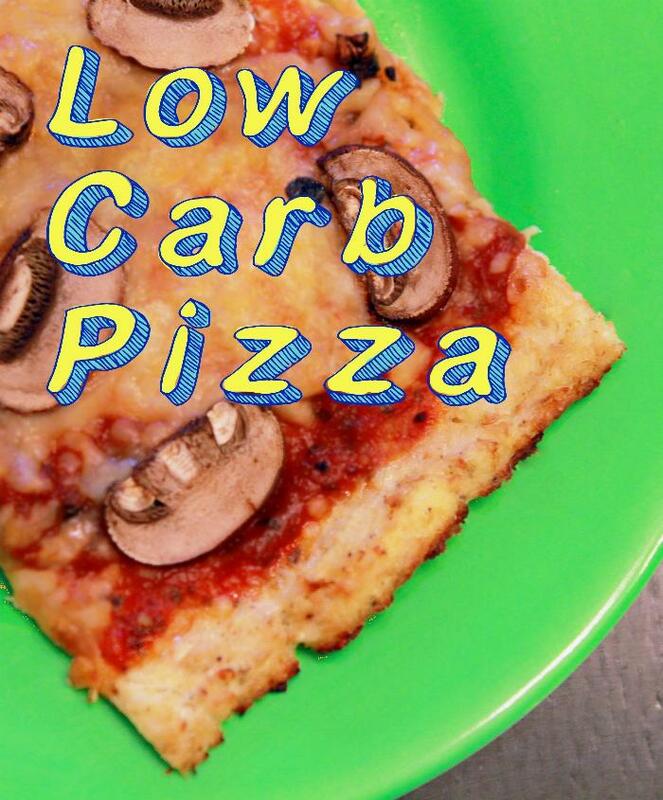 Low Carb Pizza with a Cauliflower Crust. Don't knock it till you've tried it! 1Preheat oven to 450°F (220°C) and place a rack in the middle. Cover a baking sheet with parchment paper and spray with oil. 2Use a food processor, blender or cheese grater to cut the cauliflower into small pieces, the consistency of rice. 3Microwave the cauliflower rice for 8 minutes on High. 4Allow the cauliflower rice to cool. Add the cauliflower rice to a sieve and use a spatula to squeeze out some of the liquid. Wrap 1/2 of the cauliflower rice in a tea towel, and wring out more of the liquid. Repeat with the remaining cauliflower. You need to wring out about 1 cup of liquid. This is the most important step, because the crust won't hold together unless the cauliflower is dry. 5Mix the dried cauliflower rice with the egg, mozzarella, oregano, salt and pepper. 6Spread cauliflower mixture onto the lined baking sheet and form into a large rectangle. 7Place in the oven and bake for 10 minutes. 8Top the crust with the tomato sauce, cheese and pizza toppings. 9Return the pizza to the oven and bake for an additional 12 minutes.